After a good day fishing, nothing beats a cold beer. While most Aussie fishermen and women will stick to their favourite beer brands (VB and XXXX have the lions share), more and more we're seeing Aussies step outside their comfort zone and try premium, exotic and flavoured beers. One of the newest flavoured beers to hit the Aussie beer Market is from The Beltz group called Kwencher Clingstone Peach & Darjeeling Tea Infused Lager and in our opinion it's certainly something we'd say you should try whether or not you generally like your flavoured beers. Inspired by a trip to Morocco in 2008, husband and wife team David Burns and Elly Meltzer fell in love with sharing peach iced tea and icy local beer. The idea of blending the two flavours became a reality upon their return to Australia when they developed the Kwencher Clingstone Peach and Darjeeling Tea Lager. Produced in the home of the mighty Cats, Geelong, Victoria, the flavours of this peach and tea beer are all natural and preservative free and are dosed into the brew prior to bottling. 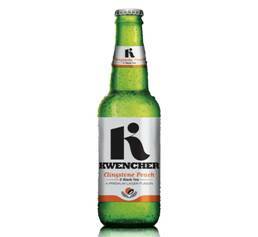 The Kwencher peach and tea brew is a pale, straw colour and has great clarity and an inviting aroma. We found it refreshing and while it won't necessarily become our every day fishing beer, there is certainly room in the beer fridge for a few to share with friends after a good day on the water. Enjoyed on the weekend with a couple of mates, the Kwencher peach and tea lager even got compliments from the most diehard of lager loyalists. The tea and peach beer also has a talented brother, with the Kwencher Pale Ale Voted Australasia's best pale ale at the 2013 Asia Beer Awards, so this is definitely a beer brand we'll see more of. For more information on these two great new beers, visit http://kwencher.com.au/, buy it from a beer shop online or ask for it at your local liquor barn. 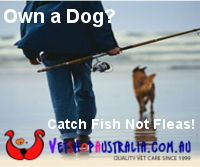 Having a chilled beer after a sunbath with fired fish is my favourite.